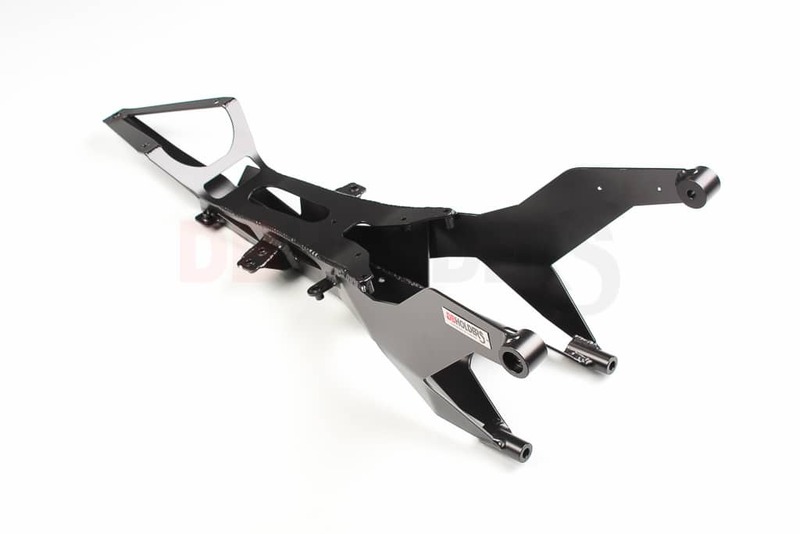 The subframes are replicas of the OEM subframe made from top quality aluminium alloy coated in black. The DBholders subframe will save you weight and can easily be repaired in the event of damage. OEM dimensions allow the use of the stock battery and fuse box which also keeps the ABS hydraulic (where fitted) unit in it’s standard position.